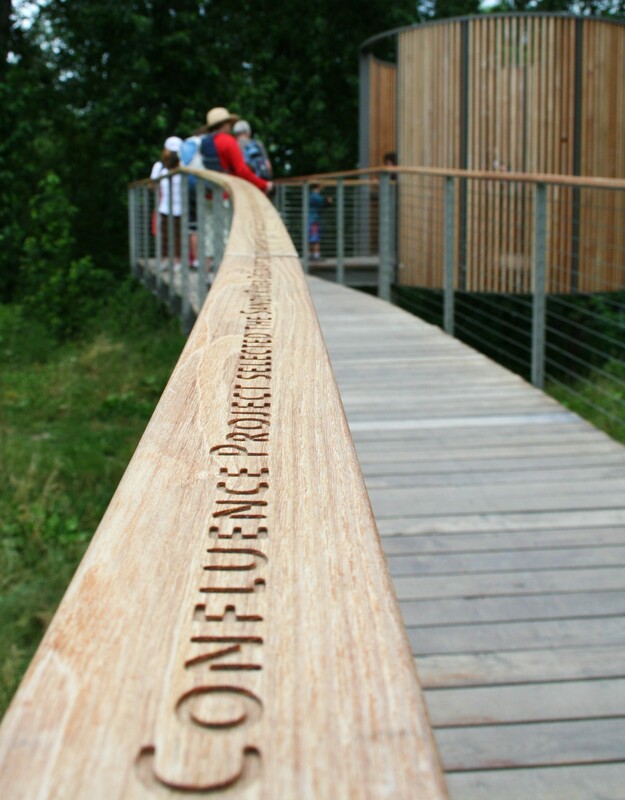 The Confluence Project has been a partner in the development of what the Sandy River Delta is today. As one of their many installations along the route of Lewis and Clark, the Bird Blind at the Sandy River Delta has been a catalyst for cooperative engagement between numerous entities with interest in the area. The installation at the Delta is a Bird Blind overlooking the confluence of the Sandy and Columbia Rivers. The specific location is along what used to be the historic main stem of the Sandy. As a result of a a dam built in the mid 30’s, this main stem became a slough and occasional backwater, flowing only with adequate water levels to top the old dam. With the removal of the dam, scheduled for late summer / fall of 2013, this channel will again become the main stem of the Delta. The 1 1/4 mile Confluence Trail accesses the Bird Blind from the Parking lot, and is built to be an ADA* compliant trail. As a dedicated trail to the Bird Blind, the Confluence Trail is designated as “leash required” for our canine accompanied visitors. (All other Delta trails allow off leash use). For more information, visit the Confluence Project Website.